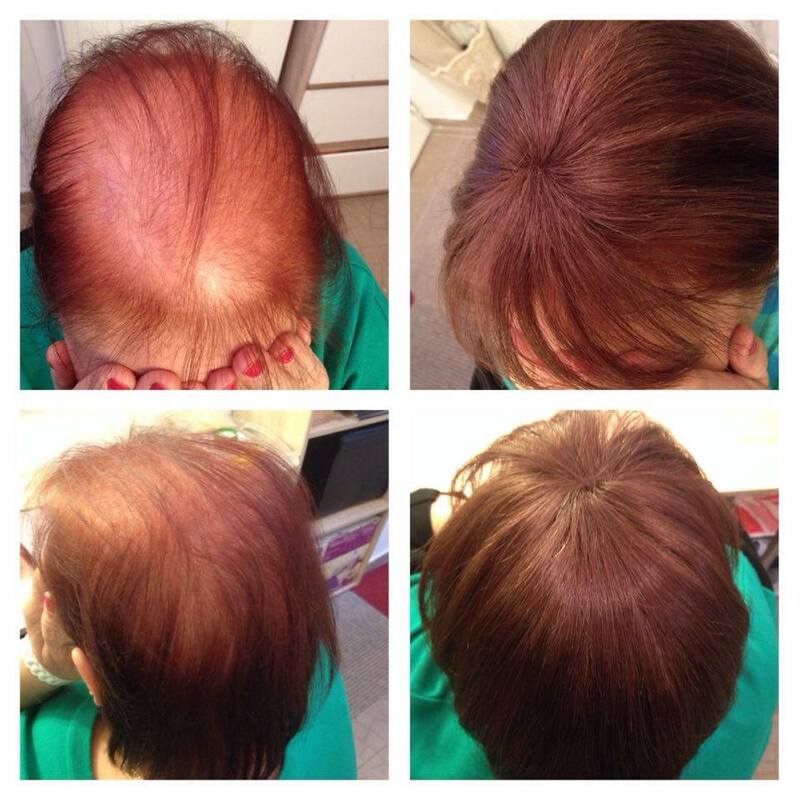 Professional hair extension, Hair thickening in Dunakeszi! With more than ten years of experience in Great Lengths and So. Cap exercise, I welcome my costumers longing for beauty in hair extension. With the gentler technique, just in two hours, I can make short hair long and rich once again. My hair extension techniques includes: Keratin tipped and keratin hot fusion hair extension, micro ring, cooper ring hair extension, clip in hair extension and top hair thickening. Free consultation: - Gizella Paizs – HairTrend hair extensions – 0036303899061 – Dunakeszi. Get a quote online! It’s only just one minute! You can find beautiful and natural premium hair extensions in our shop – salon, hair extensions in bulk hair, weft hair, micro ring clippings and in ready to wear clip in extensions. Broad- spectrum color range! From natural dark through light brown and gently bleached honey blonde to platinum blonde. Gentle hair extension techniques: Keratin clipping, micro ring, and with clip buckles, only with the finest premium hair extensions. Costumers – as far as possible - can choose from straight, lightly curly, lightly wavy or from curly hairs in store. Top hair thickening serves to vanish balding spots or balding without using a wig. Instead of a full lace wig we can use so called toupees. The bolding crown part of the head can be naturally enriched with this technique. It can be attached: permanent and with clip buckles. You can choose from premium quality, silky, hair extensions, in beautiful colors, only made of one hundred percent natural human hair, with invisible little buckles which doesn’t use, damage our own hair. Easy to wear, to clip on even in your own home by yourself, doesn’t require professional help. Why is it important to undergo an adequate education? Why you should not start a hair extension without proper knowledge? Perfect hair extension and satisfied costumers requires both prior exercise and training from a professional or professionals. In our salon you can learn all techniques of heat fusion and micro ring hair extensions from first hand. For hair extensions you can find every accessories in our store and salon, like the fusion bond clips, stacker and remove tagger, keratin remover spray, crystal keratin, strong sheet keratin, separator disk, tress buckle, toupee clips, brush with special bristles for hair extensions… come look around in our store! Swarovski crystals and silk made flowers are more and more fashionable hair jewelries. If you are longing for casual glamor or just to boost up your appearance even for a wedding swarovsky crystals or and silk made flowers are the best choice to wear. You can find hair jewelries -accessories from low key crystals to hand made silk flowers in our store to insure your trendiest appearance. Yes, we are buying hair from you! Did you cut your hair in the past? Don’t throw it out, we are buying it from you! We are waiting for you to contact us and to send you a preliminary price for your hair. Now you can get an outstanding quotation from us! It is important that only a professional should do your hair extension or enrichment. Wrong doings in the process can damage the hair. Ask for reference and for a free consultation from your hair extension maker. A good professional can assess what kind of hair extension and hair extension technique is most suitable for you. After an incorrect intervention, balding and hair loss can occur. 3.) Hair extension –enrichment with using european, Russian, hungarian or indian hair? When we choose our hair extension (hairpiece) it is important that we should only choose Remy hair (matching stranded), secondly we have to match the hair’s type with our own hair’s type, and thirdly the quality/price harmony is important too. We can find equally thin and thick hairs both in Hungarian and European hair. So if we want to find the most optimal and most esthetic result, we should not look the origin of the hair but its type. For a thin type hair we use mostly Hungarian and European hair and for a thick hair type we use Russian, Indian or thicker European hair. Considering the hair’s quality, natural hairpieces – with adequate care – can lost long beautifully for 2-3 years, in case of gently bleached hairs 1,5 – 2 years, Indian industrial bleached hairpieces can hold their quality for 8-14 months. In case of hair enrichment we can achieve rich and solid hair with 40 – 60 pieces of clippings, but for hair extensions we have to use at least 70 – 100 pieces of clippings, with these number of clippings we will achieve a natural hairdo. Never the less the transition between our own hair and the hairpieces will be invisible and perfect. For hair extension – enrichment, hairs can be bought from 20 cm to 70 – 80 cm. Short Cleopatra style hair extension: 40-60 cm: min. 120-140 pieces of strand. Short feathered hairdo hair extension: 40-60 cm,: min: 100-120 strand. Mid-long feathered hairdo hair extension: 40-60 cm: 70-100 strand. For 40 cm hair extension: 50-60 cm: from 60 strand. Only enrichment: From 40-60 strand. Dyeing: 10-2 0 pieces of strand, with the usage if micro keratin clippings we can achieve a more beautiful effect. Remark: Less amount of hair is required for a feather hair or thinned split ends. More amount of hair is required for a solid, straight cut hairdo. Like your own hair, your added hairpiece requires adequate care too. Lifeless hairs do not get moisture from its roots so we have to replace it with something else. With Gliss Kur hair care products and with milk protein (Latte) hair wrap we can keep our hair’s natural quality. It is good for any kind of hair and hair types including European, Hungarian, Russian or Indian or even our own hair. With these the hair can receive its required nutrients after shampooing, and cleaning with a supplemented non rinse spraying and split ends nursing. When we iron, dye, perm our added hairpiece we should avoid putting chemical materials, or heating the locks of the extensions. The locks can fuse, can be dissolved doings so. You can iron your hair at home by using a hair care spray skipping the part of the locking to the end of the hair. In case of dyeing: Always seek professional help who can make your desired hairstyle by using professional products with gentle care. After chemical intervention on your hair it is important that you have to moisturize your hair with hair care spray, hair wrap, and with hair balsam. 8.) Bleaching hairpiece without dyeing it? The gentlest bleaching technique is called the shading technique which doesn’t damages the hair. We don’t have to dye the hair, only we have to fit the clippings with keratin or with micro keratin based technique. With only using 10-20 pieces of clippings we can make nice bleaching in the hair. With using micro keratin based technique, we can make thinner, but thicker clippings. For your extreme hairdo we can make fantasy clippings in glamorous colors for you. Pink, green, purple clippings can make your hair unique. Like with bleaching, these clippings can boost your hairdo without damaging or dyeing it. What you should keep in mind before and after? After you decided to have a hair extension – enrichment you should seek out a professional for consultation. If you cannot decide choose a free consultation. If you decided o have a thicker hair or to have a Cleopatra hairdo it is recommended to have a gradually layered cut, softening your split ends because these kinds of styles are requiring less amount of hair. We put the added hairpiece clippings in 1-1 rate so we can avoid hair thickenings and undesirable hair drying. (Hair extension courses for hairdressers ->) It is forbidden to put hair extensions For strong hair loss or for allergic skin. Choose for you own hair type! For thinner hairs we use Hungarian or European hair, for thicker hairs we use thicker European hair or Russian, Indian hair. Before hair extension – enrichment it is important that your head’s crown area’s skin must be degreased to achieve the perfect cohesion. After hair extension it is important to choose a professional hairdresser who has excess knowledge regarding extended hairs. Your added hairpiece requires adequate care too. Lifeless hairs do not get moisture from its roots so we have to replace it with something else. With Gliss Kur hair care products and with milk protein (Latte) hair wrap we can keep our hair’s natural quality. Preventing your clippings from tangling: Brush your added hairpiece from the hair’s bottom to the end. With using of special brushes you can untangle your hair. Do not brush your added hairpiece when it is wet, let it dry naturally or use blow dryer on weak heating degree. With proper care your hair will remain nice and healthy, lasts longer. When we iron, dye, perm our added hairpiece we should avoid putting chemical materials, or heating the locks of the extensions. The locks can fuse, can be dissolved doings so. Do not try to remove your hair extension at home by yourself, seek the help of a professional! You can tear your own hair from your head with using an incorrect technique. Clip in hair extension, hair extension using only natural one hundred percent premium human hair from Europe, India, weft hair extensions with supplemented clip inhair for an easy, quick hair extension. (clip in hairpieces ->)…. You can find our news on our social media sites. Follow us!